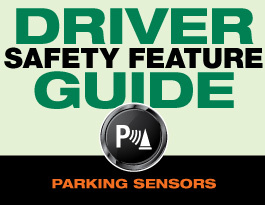 Alerts you to the position of objects around your car as you park. Shift into reverse to activate the front and rear parking sensors. 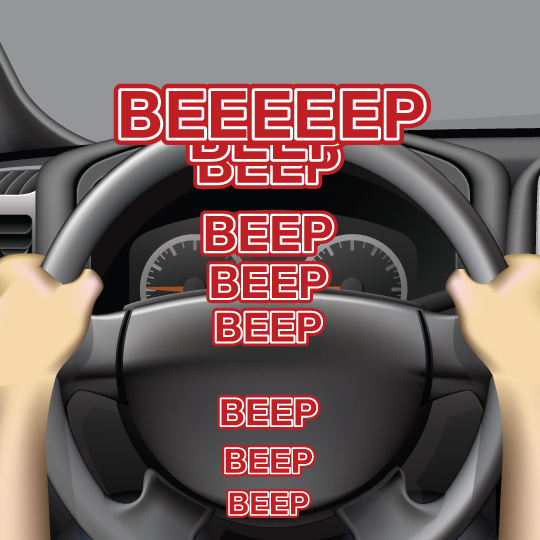 Listen for the speed of the warning sounds - a constant tone means you are close to an object. Visually confirm your car is clear and park. 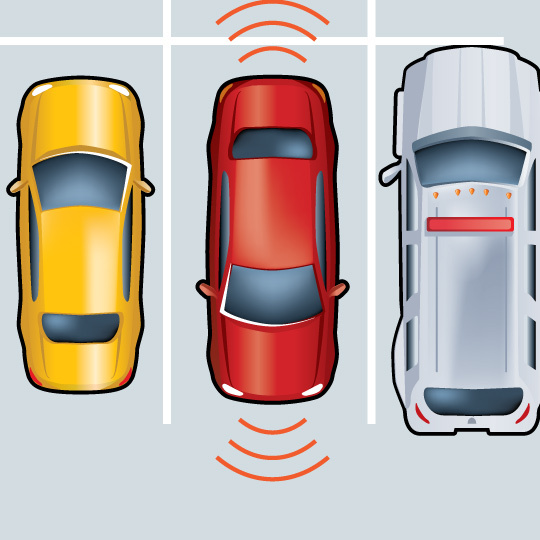 This feature can detect objects in front and back of a car while parking, providing audible alerts if one or more objects are detected. Ultrasonic sensors in the front and back bumpers of the car can detect objects. In most cars, the front sensors can detect objects up to four feet and the back sensors can detect objects up to eight feet. 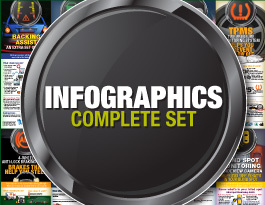 High-toned, continuous beeps indicate objects are detected near the front bumper. Low-toned beeps indicate objects are detected near the rear bumper. 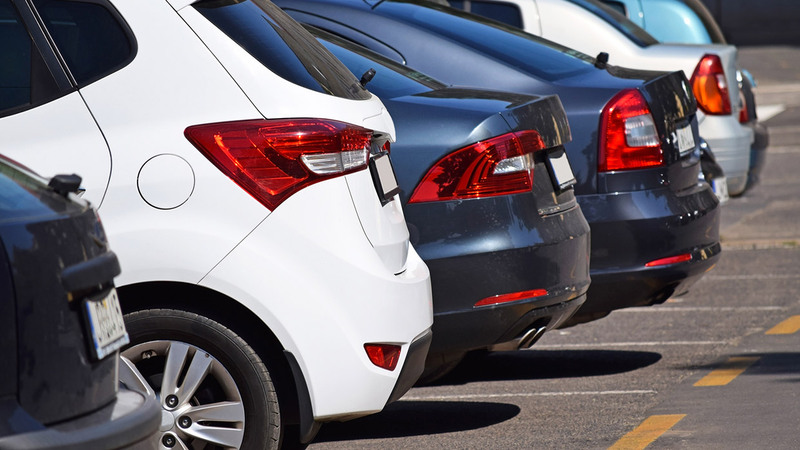 Don’t fully rely on parking sensors to detect all objects in your parking path. They may not detect objects that are flat on the ground, below the bumper, too close to the car, or too far from it. Make sure the sensors are clear of any obstructions on the bumpers, such as snow or dirt. 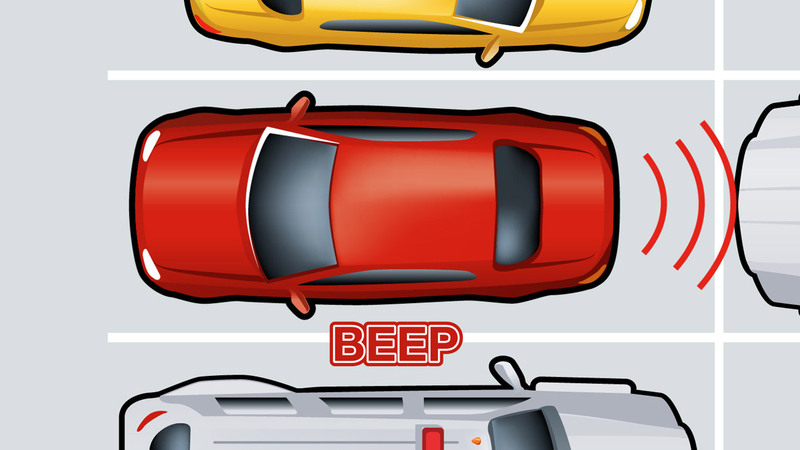 Stay aware of your surroundings while parking, including people or objects that may enter the parking path. Does this feature park my car for me automatically? No, this feature is not designed to park your car for you. 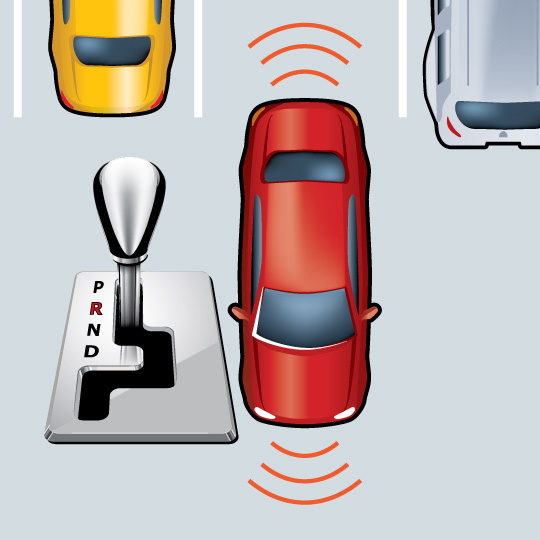 You are in full control of your car during parking maneuvers when using this feature. Will this feature help me back out of a parking spot? 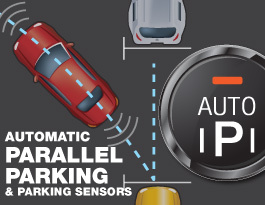 This feature’s advanced sensors are meant to detect the immediate area surrounding a car to help you park. However, they may not be able to detect objects further away within your backing path, so you shouldn’t rely on this feature to help you back out of driveway or parking spot. 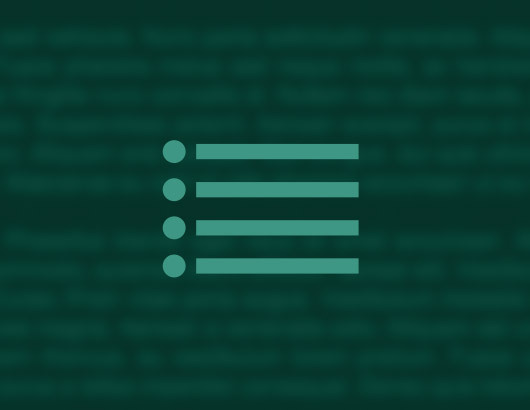 This feature also is not capable to detecting cars or other moving objects about to enter your backing path – this is a task that is better suited for a feature such as rear cross traffic alert. 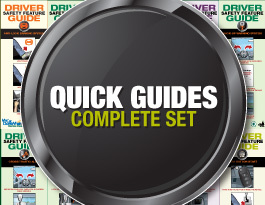 Helps guide you into a parallel parking spot after searching and finding a viable option. You still are responsible for braking and monitoring your environment.